Will Today FINALLY Be The Day YOU Strike Gold in Real Estate? Of course I don't need to tell you, there are lots of astounding deals for the taking in Real Estate these days. Sheesh that's such a big story now you can hear it on the nightly news. But so far that story has been like the gold in Fort Knox - You know those gold bars are piled high, you just can't get past the 'gate-keeper' to get to them. Until there are lots of people that can do 'the taking', properties will continue to be available at historically low prices. The Banks (mortgage gate-keepers) picked up all their marbles and went home crying. ...Until the good times rolled off a cliff. Now, even an 80% mortgage is much harder to get than pre-bubble times and the hordes of wanna-be buyers can't make the leap from renter to owner. You know on the other side of a big problem is a big opportunity. So how do YOU get on the opportunity side? Get your mortgage money from people. Real people. Not banker people. I'm not talking about hard money lenders. Sure they got money. But their terms are a bit, umm, harsh. Relying on that source is too costly and risky to your profit margin. I'm talking about the large, little known and very over-looked pool of 'Private Money'. Regular people trying to build their savings. 10 years ago they were doing that in the stock market, or more conservatively in Treasuries and CDs. And what did they get for it - Wall Street stole half or more of their capital. Treasuries and CDs are trickling out interest rates BELOW inflation today. These people NEED secure investments that give them at least 5%. You need a non-bank source of funds to scoop up the great deals in Real Estate. and you get what you want - fabulous profits. But, IF you could find them - easily, reliably - how would your life change? For starters, instead of ringing your hands for all the great deals you CAN'T get, you'll be salivating over all the great deals you CAN get. And you'll be on your way to building your Real Estate Empire in the same fashion JP Morgan and the select group of his peers did when they had the cash and scooped up Real Estate and other assets at astounding bargains. I, myself, am not a Private Money Matchmaker. And if I was I'd be charging you big bucks for my service, not unlike a hard money lender. Instead, I've got something a whole lot better for you. A way for you to take control of your destiny and be a savior to other hard working regular people looking for a safe way to grow their savings. Getting Private Money is a home study course that delivers a step-by-step process and all the information and resources you need to build your pool of Private Money Lenders. It's not just part of the puzzle, but a start to finish guide that will help you build your empire and cash in on this real estate boom. This treasure includes 6 CDs with 85 bite-size audio lessons - sit and listen or listen on the go. Either way you'll get your own personal instructor guiding and walking you through exactly what you need to do to find and secure your own pool of private money. You also get a 148 page manual - read through at your own pace and keep it handy to quickly refer to particular topics right when you need them. Also - Powerpoint Presentation, a complete sample prospect Powerpoint presentation program that you can copy and use as your own. Plus - Credibility Kit, sample forms you can show the prospect to build your credibility as an investor and business owner. Plus - Marketing Kit, sample ads, flyers, etc. you can use to attract private lenders to you easily and legally. And - a Fast Start CD to get you started... FAST. These audios lay out the big picture and get your mindset focused and primed to dig into the details of the full program. They can also serve as a refresher. "I purchased REIClub's Getting Private Money course 3 weeks ago. It was one of the best investments I have ever made. I've already found 3 new private lenders at great terms for my next two deals. Their course is very detailed and provides so much helpful knowledge and experience for anyone who is looking to take their real estate investing business to the next level. I highly recommend it!" If you're a serious player - ready to change your life and build your Real Estate Empire with Private Money, you can get this step-by-step blueprint for FREE. Getting Private Money is a definitive A to Z plan to solve your mortgage problem and make it possible to cash in on once in a life time Real Estate deals. How does Private Money solve your money constraints and even make your profit margins bigger? Private Money is a source - a non-bank source - of funds to finance deals. But in this case, the 'Bank' doesn't write the rules or control you. You negotiate ALL the terms directly with your private lenders - EVERYTHING from the rate to the payments. You are the 'Committee', you write the rules. Flexibility and control means more deals and more profit potential. Private money is also more efficient. Have you ever looked at all the lender fees in a real estate transaction? Say goodbye to those. AND you'll be able to close deals much quicker, just about as fast as if you had the case of $hundreds piled up in your closet. Remember Robert Allen and 'No Money Down'? Of course you do. What was going on back then - the early 1980's? Mortgage rates at banks were crazy high - peaking at 18%. Basically, Sellers couldn't sell because banks weren't reasonably lending so wanna-be Buyers couldn't buy. But back then houses weren't mortgaged up to and beyond 100% of value. Many more people had lots of equity or owned their homes free and clear - it was their savings not their ATM for the past decade. Many Sellers could afford to 'be the bank' and take monthly payments. No money down was a brilliant bank work-around strategy that worked for investors - THEN. Sure doesn't work now. Different times, different constraints. Today the best deals are in upside-down properties - short sales - and foreclosures. Private Money is a bank work around strategy just as revolutionary today as No Money Down was in the 1980's. The right strategy at the right time. Join us at the Nation's only Funding Tour. This will be an incredible 4-day event. Unlike any other seminar you've experienced, the Funding Tour takes you out of the classroom and into real homes and real funding realities. Not only that, you'll work with real world deals to come up with the best funding package in the room. AND if you want to learn how to be the bank, join us in the Bankers Round Circle and figure out how you would invest a Million Dollars into deals that would pull upwards of 12-15 percent annualized returns. "Just wanted to say what a great course this is. It's clear, concise and in plain English. Can't wait to get my first lender using this course." We need success stories so the first 10 customers who use the course to do a deal and send us the details will receive a full 100% rebate of the purchase price. Anytime during the first twelve months you can submit the details of a deal you completed using the FCFH materials, along with copies of checks and other items, and we'll send you a check for the purchase price. ...this makes this offer a CAN'T LOSE proposition! This expert series includes 3 interviews with seasoned pros - Patrick Riddle, John Burley, Alan Cowgill - in getting Private Money. Each of them specializes in different niches. All of them are swimming in Private Money to fund all the deals they have time to make. All of them agree this is the best environment for building wealth they've ever seen. Two very successful ways to advertise to the public - legally - to fill your lunch "seminar"
5 word-by-word power persuasion phrases... put an end to "I'll think about it" and "No thanks"
The average retired and retirement-approaching American has just about all their wealth in two places: their house and their retirement account(s) - IRA, 401(k), ect. In 2011 Retirement accounts were valued at $5 Trillion. That's a DEEP pool of money. A good 97% of those accounts are invested in 'traditional investments'... stocks, bonds, CDs. Which means most of those accounts haven't performed very well over the last few years. And of course we know home values haven't done so well either. The result - 'nest eggs' have been scrambled and folks NEED to generate some upside or contemplate their "Hi, Welcome to Wal Mart" future. 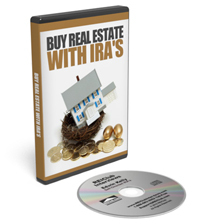 IRA's can invest in Real Estate and so few people know that. Edwin Kelly was the Director of Business Development for Equity Trust, a premier self-directed IRA custodian. He also has a Real Estate license, a Series 7 license, a Series 62 license and real estate investment experience. Edwin educates thousands of Real Estate Investors a year on how to set up a self-directed IRA and use it to invest in real estate and other 'non-traditional' investments. The 3 investment environments are? And the best one is? Listen to this CD to learn how to Outsource so things get DONE. Alan Brymer, Entrepreneurial Award winner, subscribed to one guiding philosophy while still in his college dorm room breaking into an investment career: you can make more money if you don't do everything yourself. He's been a successful full-time investor since the age of 22. His investment company was named one of the top twenty five companies under five years old by the Utah Valley Entrepreneurial Forum. He's a frequent guest expert for the media as well as a many times published author. Alan is Founder and President of the Utah Valley Real Estate Investors Association and creator of The Assistant Who Pays Their Own Salary. We've got a list of over 30 active hard money lenders and you get it for free. This is not one of those lists of hundreds where you have to call a hundred different lenders because they're all out of business. These lenders are actively lending right now. You do not have to worry about the extra cost of shipping and handling, as we've got that covered for you. Simple Question - Are You Serious About Your Future? This is one of the best times in history to make a fortune in real estate. The market will return to normal - supply and demand more balanced, financing easier to obtain. And the great high profit deals will be far fewer. In fact, it's very unlikely you'll see a market this ripe with opportunity again in your lifetime. The smart thing for you to do right now is click the Add To Cart button below. Become a Private Money Pro and seize the day! P.S. Don't forget about your awesome bonus items, including two free tickets to the Real Estate Funding Tour. Click the Add to Cart button and get started today. "I found the Getting Private Money course to be a thorough, comprehensive guide to finding private lenders for real estate deals. The course provided a step by step guide for anyone to follow, from marketing, to presentation to closing. I highly recommend it." "The "Getting Private Money" home study course is a must have educational resource if you are a novice investor, or a seasoned real estate investor. This course teaches fundamental to advance techniques in "Getting Private Money", "Buying Real Estate with IRA's", "Using Virtual Assistants" and more, by some of the top leaders in the industry. I was overwhelmed with the amount of information by the end of the third "GPM" audio CD. The information and concepts are explained in depth and in very easy to understand language. The course contains 12 hours of informative audio, a manual which includes the audio transcripts, hard copies and electronic versions of the sample forms for your use, and an extensive list of resourceful sites to help you develop and grow your real estate investment business. This course delivers on how to create and grow a real estate investing business in today's market. It covers private money fundamentals to marketing strategies, through closing the deal transactions. If you want to build your business with Private Funding, this course is a must have. In my view, it is truly a comprehensive course and "Getting Private Money" in a box. With insight from a leader in the industry, "Self Directed IRA's" provides you with the knowledge to instruct potential investors on how to use their IRA's. 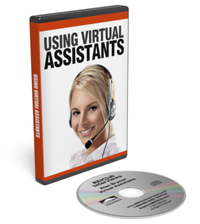 The Virtual Assistants section covers how you can outsource some of your daily tasks. I'm one who always had problems with delegating, so I'm planning to make good use of this service. I've been away from investing for a number of years and I'm very glad you created this course."